What is it about me and this story? In the world of Mary Calmes stories I sadly have to admit this one is not at the top of my list but in a effort to be fair when I saw that it was out in audio book format I was helpless to resist and needed to give it another try...now, on the down side the narrator was not one of the usual suspects...I've gotten use to my Mary Calmes books being narrated by Greg Tremblay, Tristan James or Sean Crisden...not that there haven't been other narrators...there have, it's just been a while. So I freely admit I did take a moment to pause when I saw that Michael Fell was the narrator, but I decided that since I've listened to other audio books narrated by him and had no complaints I needed to not be snobbish about this and give the man a chance so I did and given that my rating for this went from 3 stars to 3.5 stars, I'd say that Mr. Fell held his own on this one. It's that mom instinct...you see someone who needs to be loved and sheltered from the world and it's just instinct to want to do what the world has failed to do for that person so far. This is one of my favorite things about Mary Calmes books not only are the characters bigger than life but there's often at least one or more character who brings things like 'mom love' to the story in such an overwhelmingly big way. Nothing gives me a warm fuzzy like that moment in a Mary Calmes book when a character...in this case Joe's mom sweeps in takes one look at another character...and in this case it was Kade and Declan and just instinctively knows that they need 'mom love' and in this book there was two of them there was Joe's mom and Donatella Gallo who was his family's housekeeper and cook. 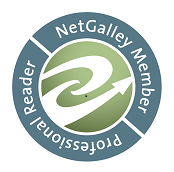 So maybe not my favorite Mary Calmes story but still a pleasant enough read that I'm sure I'll be revisiting it at some point in the future and I'm also pretty sure that at some point I'll be reading a book and going...'Oh, I remember that. 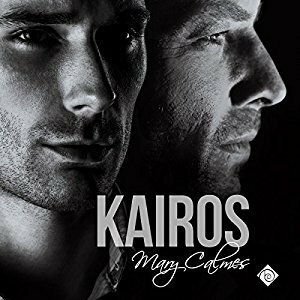 That happened or that person was from the book 'Kairos' because when it comes to Mary Calmes that seems to be just the way the world rolls. 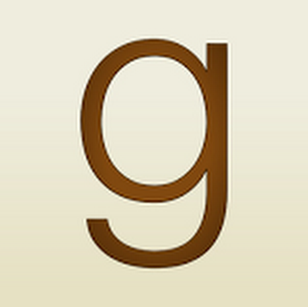 An audio book of 'Kairos' was graciously provided by the publisher in exchange for an honest review.